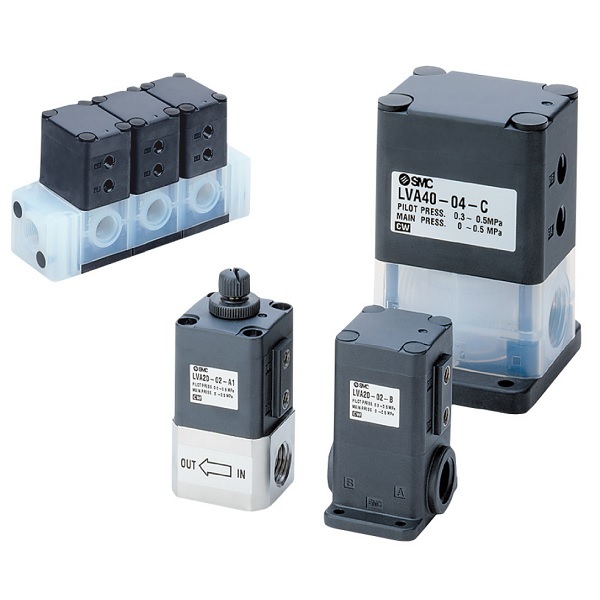 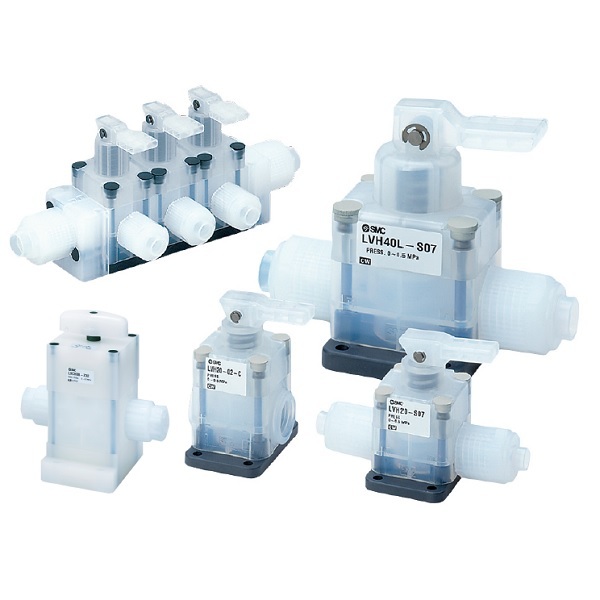 LVP Series Vinyl Chloride Air Operated Valves are applicable to rigid vinyl chloride tube: Union type with PVC unfixed union. 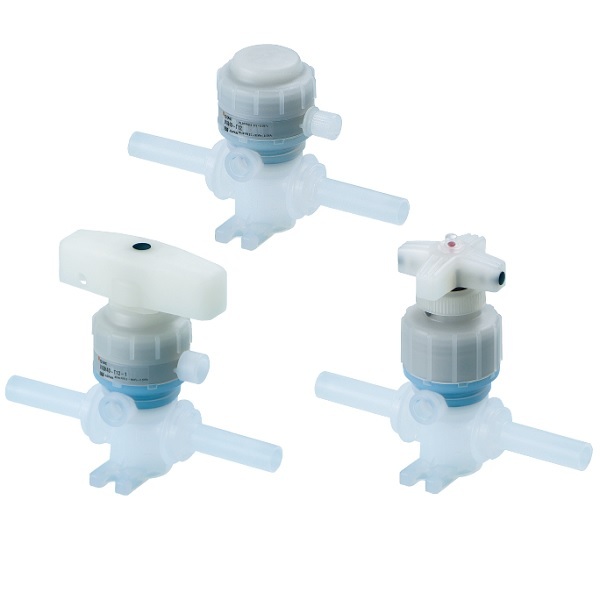 The materials used in these valves are - Body material: CPVC, Diaphragm material: PTFE, O-ring material: FKM, EPDM (selectable) and applicable fluids: Deionized water, Chemical liquids. 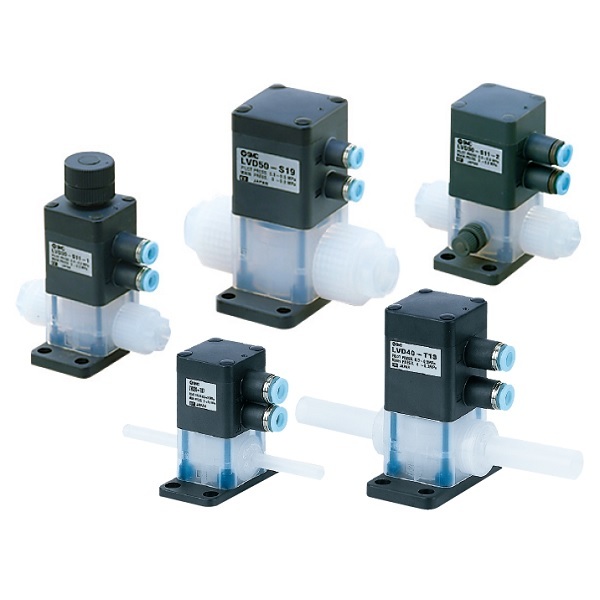 These valves comply to JIS standard for polyvinyl chloride piping (JIS K 6742) and are suitable for fluids like - Deionized water and Chemical liquids. 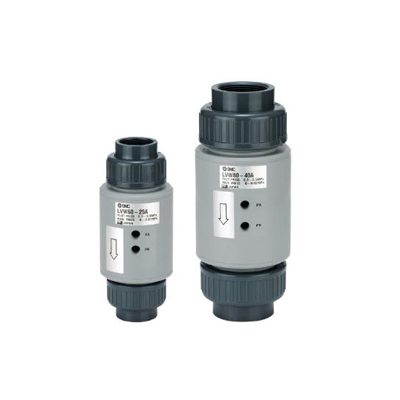 The fluid contact materials are - PVC (Body), PTFE (Poppet), FKM (O-ring: Standard) and EPDM (O-ring:Option). 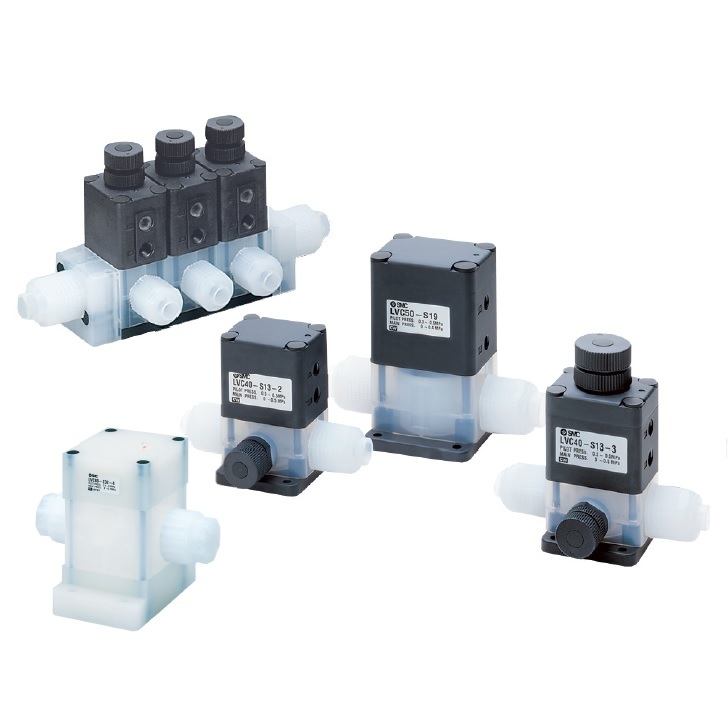 Cv factor for LVW valves varies from 10 to 198. 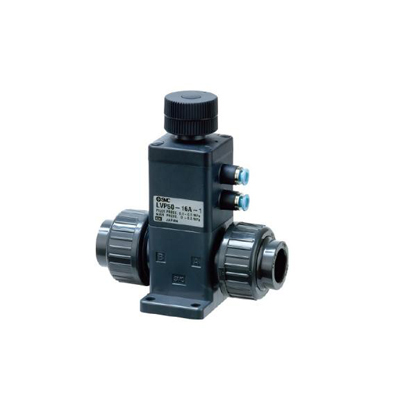 These valves give the provision of easy piping with union connection.